A school building built in 1894. A 120 years old container of knowledge. 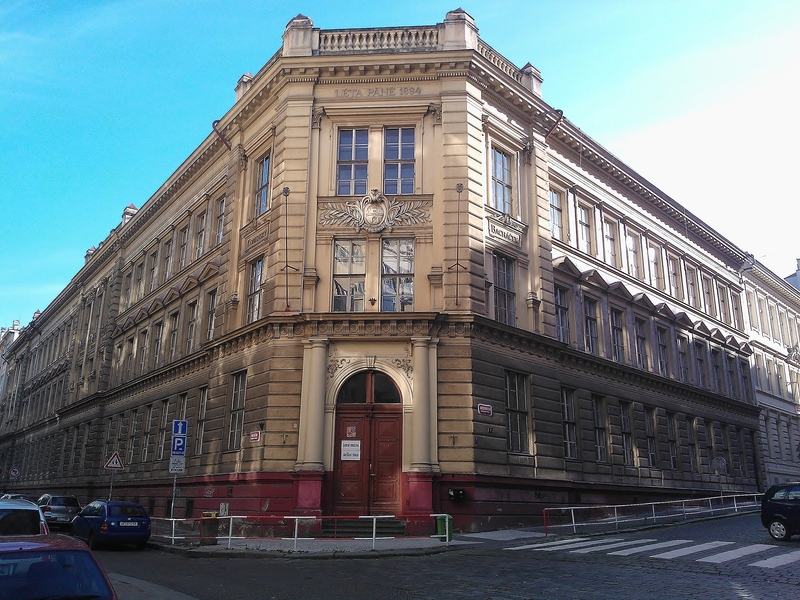 This entry was posted in Life/Photography and tagged 1894, Ancient, Architecture, Building, classicist, containers, History, knowledge, postaday, Prague, school, weekly photo challenge, wisdom. Bookmark the permalink. Beau bâtiment imposant ainsi que les couleurs, les teintes sombres et claires! Praha 7 – Holešovice, Czech Republic. Corner of streets Františka Křížka and Letohradská. The buliding is a Primary school called Základní škola Fr. Plamínkové.